No update in recent weeks, I’ve been slaving away in the background on an all new expanded version of this site. It’s about 90% done, loads of new content. In the meantime though I’ve been getting involved in a few comics workshops, next week I’m volunteering at the Fighting Words Graphic Novel Summer Camp. 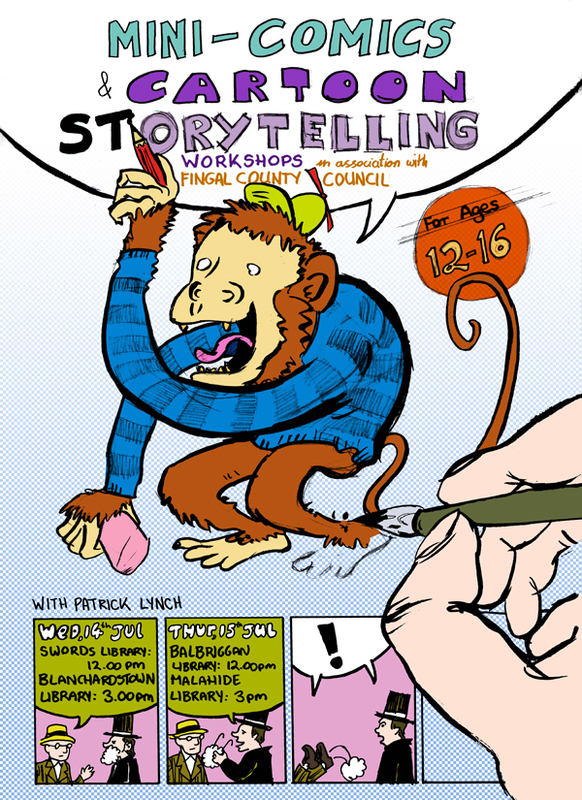 The following week I’m doing several comics workshops in 4 different Fingal County Council Libraries spread across North Co.Dublin. See the poster for details.